QUESTION: Enjoyed your article on The Persian Gulf and climate change. In a related topic we did a field trip once to the South of Spain and saw whole cliff faces of gypsum at Sorbas near Almaria. This very thick layer of gypsum is evidence that the Mediterranean Sea had once totally dried up. One explanation is that the Salinity Crisis in the Messinian was caused by tectonic plates shifting the Straits of Gibraltar closed, turning the Sea into an evaporite basin, leaving behind thick deposits of salt. Of course, this allowed migration of animals from Africa to Europe. It is postulated that this could happen again in the future with the Mediterranean drying up in less than 1000 years. Any comment on this? Thanks a lot! ANSWER: Yes, that is something we have tried to work out a cyclical model. Most people are unfamiliar with the Messinian Event, and in its latest stage as the Lago Mare event. These were geological events during which the Mediterranean Sea went into a cycle of partly or nearly complete desiccation throughout the latter part of the Messinian age. 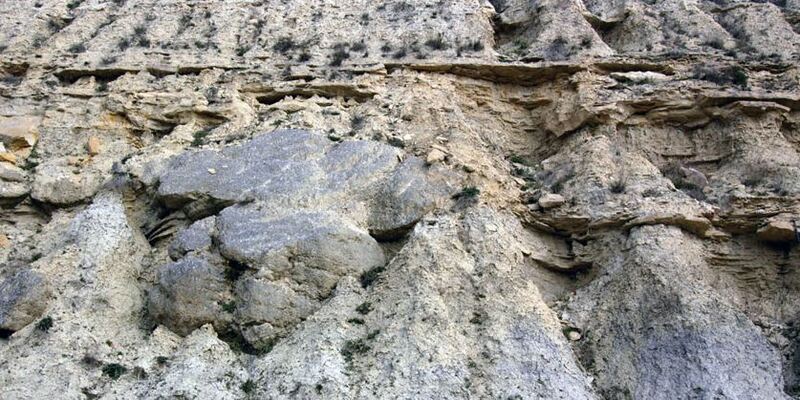 This appears to have taken place between 5 and 6 million years ago which ended with a breach of that point at the Strait of Gibraltar resulted in a major flood where suddenly the Atlantic reclaimed the Mediterranean basin. The Mediterranean is much saltier than the North Atlantic because it is virtually isolated by the Strait of Gibraltar. It has a very high rate of evaporation. When the Strait of Gibraltar closes again at some point in the future (for which we will be blamed no doubt), the Mediterranean would mostly evaporate in about a thousand years or less. This would theoretically result in the rise of the Atlantic and Pacific oceans. Keep in mind that there is the ongoing northward movement of the African continent which could eventually drastically reduce the size of any future Mediterranean to just a lake. The Mediterranean maintains its level depth simply because of the current inflow of Atlantic water. When that was shut off sometime around 6 million years ago, this most likely allowed for the migration of people and animals from Africa northward into Europe. We were investigating this event cyclically to see if it tied into the flipping of the poles, and that research was published in the Mayan Report. There was clearly a cyclical connection but it is impossible to say which causes which.